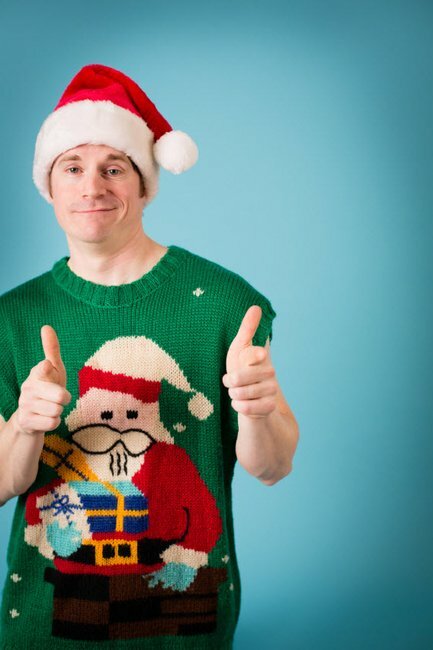 The do-gooder's guide to Christmas shopping. Christmas is about presents. Obviously. It is about getting gifts and giving gifts and most importantly feeling good about what a thoughtful and tasteful gift-giver you are. But wait. What if there was a way you could feel even better about haemorrhaging money this holiday season? 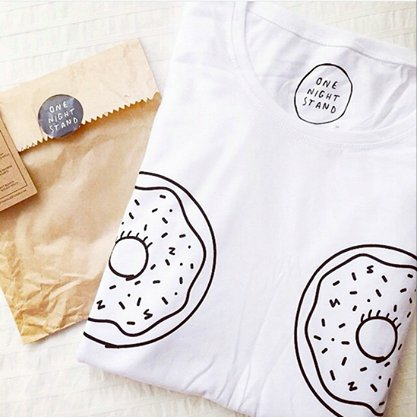 Look no further than our do-gooders guide to Christmas shopping. Below are ten gift ideas for those who want to make a difference, while confirming their status as top-notch present-choosers. This Christmas, why not use your purchasing power for good? 1. Intergalactic Space Travel Kit for an earthling child of you choice. 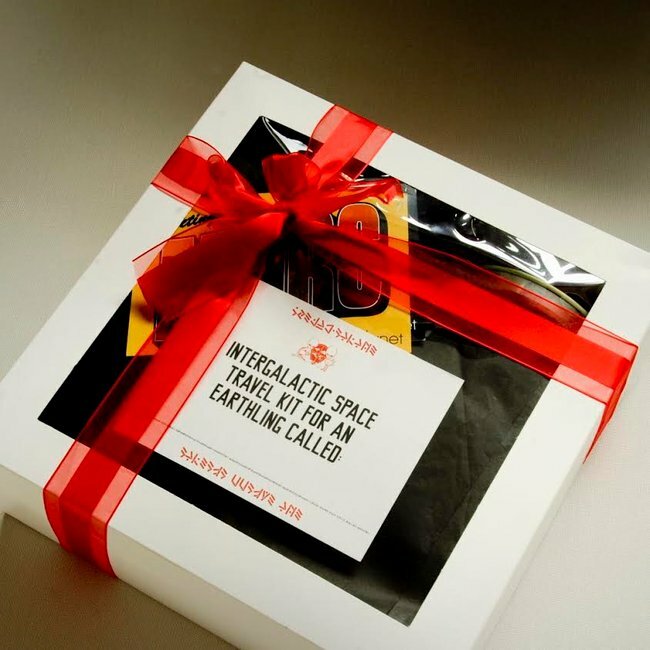 Looking for an out-of-this world gift for the intrepid child in your life? This Intergalactic Space Travel Kit has everything your child needs for their new life on Mars. Your kit includes 1x Martian passport, 1x Martian t-shirt, Martian postcards, Emergency Space Food, 1x Flying Saucer Repair Kit and some writing activities to keep you busy on the 362 million km journey to Mars. You can order your kit online or pick one up at the Martian Embassy and Gift Shop at the Sydney Story Factory. 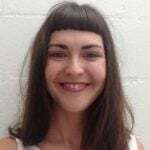 All revenue from the shop supports the Sydney Story Factory’s programs, which target marginalised students, and those from Indigenous and non-English speaking backgrounds. They are open to everyone though and aim to encourage children to write stories in all forms. Pets love presents too. Fact. 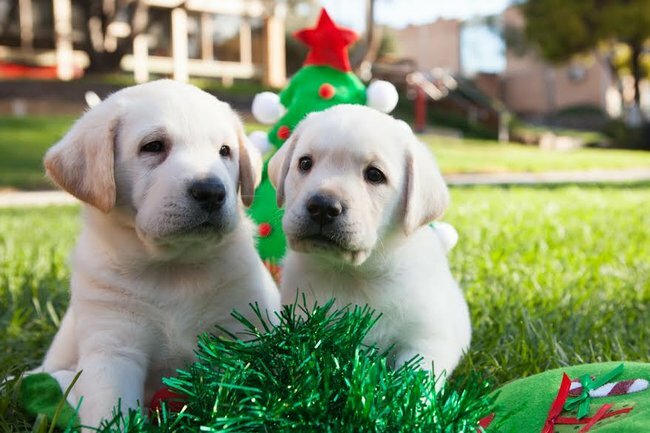 Why not get yours (or someone else’s) this special Pet Indulgence Hamper from Guide Dogs Victoria? It’s the perfect stocking filler and 100% of sales go toward supporting the organisation’s life-changing services for vision impaired. Little known fact, Labradors are very self-conscious about their hair. Do good by beautifying your pooch this Chrissy. Each Christmas Hamper includes three Joseph Lyddy Pet Indulgence products: a Cleansing Everyday Oatmeal Shampoo, Enriching Crème Conditioner, and a packet of Oral Care Dental Sticks. They’re available from the Guide Dogs Victoria website. 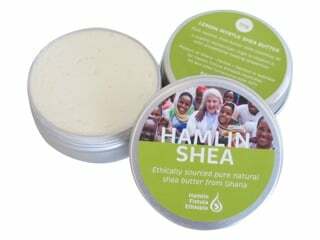 Hamlin Shea is 100% pure, unrefined, virgin shea butter from Ghana. Naturally rich in Vitamins A, E, and F, shea butter is an intense moisturiser which helps to soothe, hydrate, and balance the skin. It is just one of the many gifts available through the Hamlin Fistula Ethiopia store, which supports the operating costs of the Addis Ababa Fistula Hospital and the Hamlin College of Midwives in Ethiopia. The Fabric Social puts technology in the hands of women-artisans who have been isolated by armed conflict. 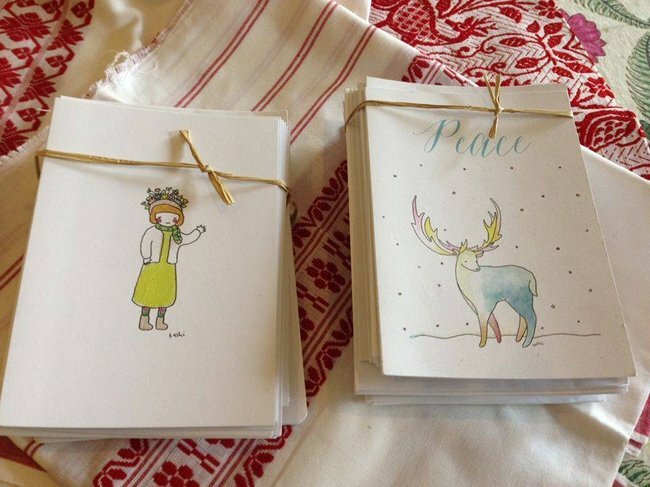 This Christmas they are selling these cute as anything Xmas cards by Melbourne artist Tashi. Order yours by emailing [email protected] with the tagline “Jingle Bells”. 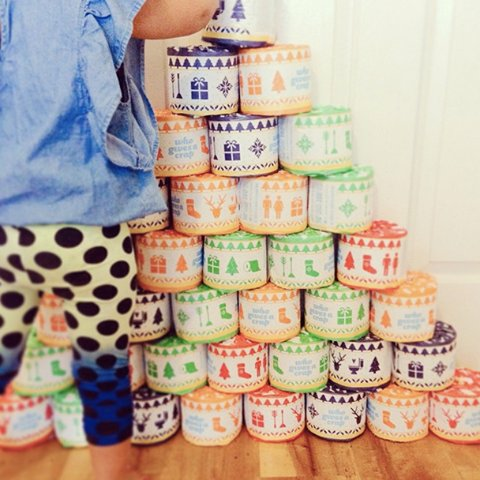 Put an end to crappy Chrissy presents with this festive toilet paper from Who Gives A Crap. By selling you their TP, WGAC helps to build toilets and improve sanitation around the world. It’s also made entirely from recycled materials, with no chlorine, inks, dyes or weird perfumes. A sustainable choice that Santa would be proud of. Put and end to crappy Christmas gifts. Image via Facebook. 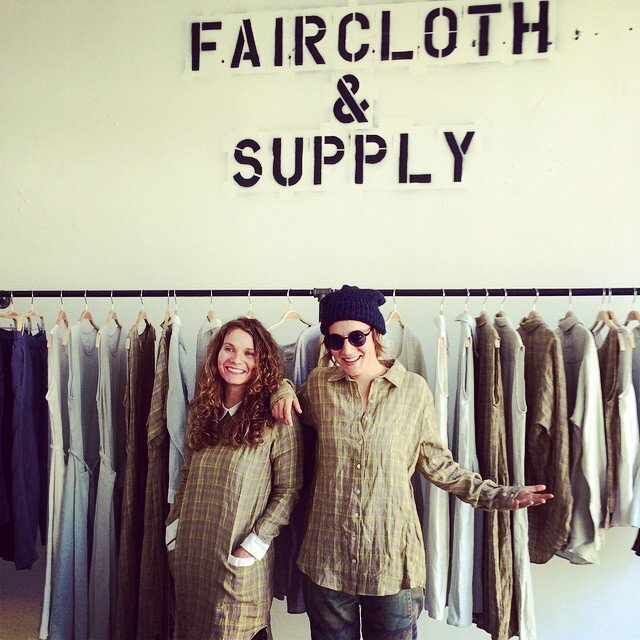 For each item sold by Faircloth Supply, one school uniform is donated to a girl in Nepal. Through their partnership with General Welfare Pratisthan (GWP), the girls receiving the uniforms are enabled to attend school and achieve the education they deserve. The Faircloth Supply collections are all comprised of beautifully hand-crafted linen garments, which are suitable to wear all year round. Really, they rule heaps. One Night Stand‘s sleepwear collections are equal parts comfy and cheeky – and every item sold provides a meal for a young Australian sleeping rough. You’ll be needing something to put all that new stuff in, so why not make a statement at the same time? 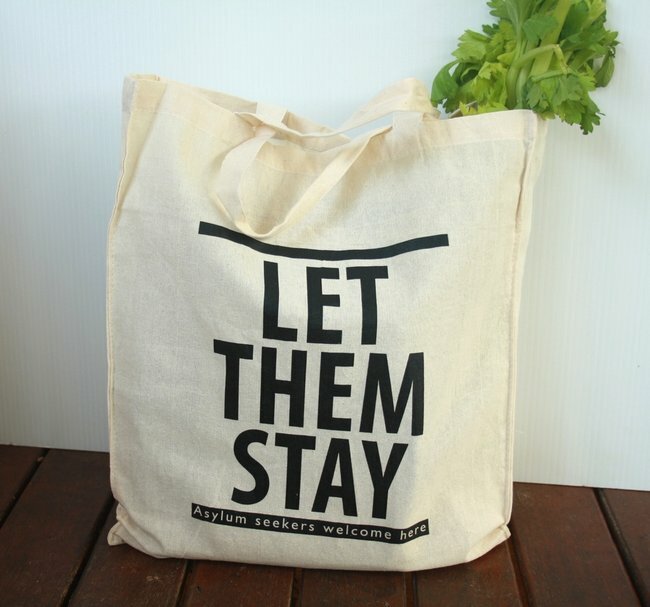 Show Scott Morrison you won’t be supporting the inhumane treatment of refugees this Christmas with your LET THEM STAY calico bag. Each bag sold also means a donation to The Asylum Seeker Resource Centre. Need something to put all that sustainable shopping in? Image via Facebook. 9. Edgar’s Mission Christmas Cards. 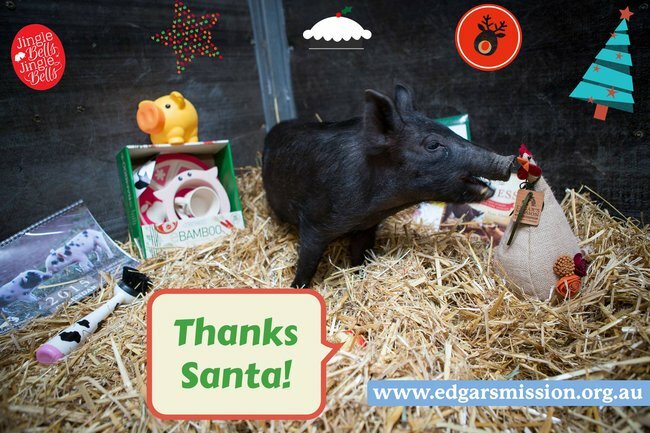 Edgar’s Mission is a not-for-profit sanctuary for rescued farm animals that seeks to create a just and humane world for humans and non-humans alike. Their shop is full of great gift ideas; calendars, cards, cookbooks. Or you could sponsor an animal to provide food an veterinary treatment AND give someone a new Best Buddy this Christmas. Please keep in mind: THIS IS NOT THE DEFINITIVE LIST. There are more than 20,000 social enterprises in Australia; commercially viable businesses driven by good causes, rather than profits. The Social Traders and Australia Post’s Good Spender initiative is an amazing online resource where you can start shopping for change today – without even leaving your desk! OR, you can also buy nothing! A few weeks back Joe Hockey urged us not to let Santa down and “go out there and spend for Christmas.” But just between you and I, Santa won’t mind if you take a more sustainable approach this year. Australians are about to spend $8.3 billion on Christmas presents alone. Plus a whopping $1.3 billion on Christmas groceries. Based on last year’s figures, this year we’ll also be charging about $25.66 billion to our collective credit cards. No money doesn’t have to mean no presents and nothing says “I love you” like a poorly written poem, some inedible Christmas biccies or an “IOU backrubs x10” booklet.